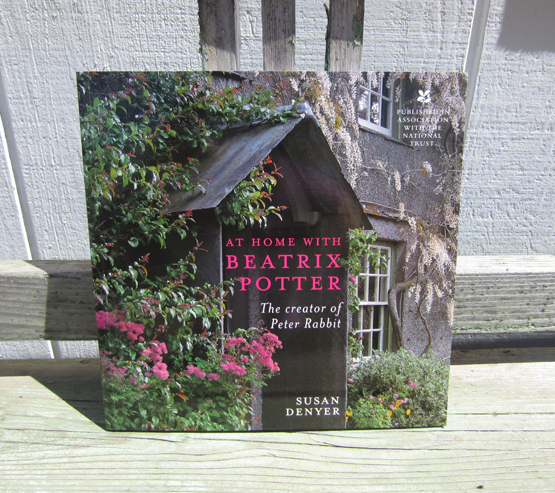 The more I knew about Beatrix Potter, the more I wanted to know. This book is another perfect piece of the puzzle. It includes a room-by-room detailed tour of Hill Top, her picturesque 17th century farmhouse in the Lake District. In extracts from her letters and diaries we read how she went about "setting it straight," bringing things from London, purchasing old oak furniture at local farm sales, "lighting the library fire" ~ we see her charming coronation teapot with the pink crown lid, the bed curtains she embroidered herself, the old William Morris wallpaper. All her treasures are there including her dollhouse with the little bits of miniature food that Norman Warne gave her. The book is filled with colored photos punctuated with sketches and watercolors showing how Beatrix was inspired by the places and things around her.